In new April releases, two of Henry VIII’s queens get new biographies! First up is Anna, Duchess of Cleves: The King’s Beloved Sister by Heather R. Darsie which is out mid-month in the UK and will be out in the US in the summer. And next is a new biography of Henry’s fifth wife by Conor Byrne titled Katherine Howard: Henry VIII’s Slandered Queen that is out April 23 in the UK and in September in the US. And finally, The Afterlife of King James IV: Otherworld Legends of the Scottish King will be out on April 26 in the UK and the US. This one actually opened back in March, but I missed it! Tudor England – As you never expected it! Just who crewed the Mary Rose? Discover a whole new view of Henry VIII’s navy with our exciting exhibition, using the latest scientific and genealogical research to show us who really crewed the Mary Rose. You’ll never look at Tudor England the same way again! 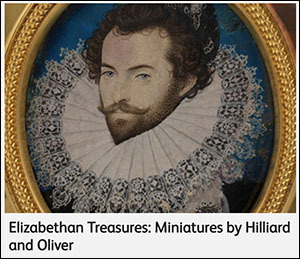 Elizabethan Treasures – Miniatures by Hilliard & Oliver opened at the National Portrait Gallery London on February 21, 2019 and runs through May 19, 2019. 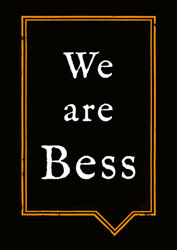 ‘We are Bess’ re-opened at Hardwick Hall on February 16 and runs to June 2 this year. The exhibition is also be available online – something I always appreciate for those of us who can’t easily visit in person.